Out with the old and in with the new; the perennially popular Vauxhall Corsa hatchback is back, and while some things stay the same, other things have changed. The Corsa is now in its fourth generation, and has finally shaken off the “boy racer” tag it was rather unfortunately pegged with at the turn of the Millennium. In 2016, it comes with a brand new chassis, a fresh suspension setup, as well as a three pot unit that is sure to prove a hit. But is this car any better than, say, the Ford Fiesta? And will it remain the brand’s best-selling car? Let’s take a closer look at what it’s got to offer. Corsa buyers have always praised this car for the way it steers, and it’s always offered a modicum of entertainment out on the road. Vauxhall have always recognised this, and have built on its drivability. A brand new chassis underpins this mark IV variant, while its 5mm lower centre of gravity adds to its appeal behind the wheel. Newly modified suspension geometry enhances driver enjoyment, too, as does a more rigid front sub-frame. The car comes with electrically-assisted power steering as standard, which offers a City mode that makes parking in tight spaces a bit of a dream. Comfort and Sport setups are also offered, and they come with dampers that boost your on the road experience. Internal friction, meanwhile, has been pleasingly reduced by the Vauxhall experts, and so too has understeer. In terms of the engine line-up, the pick of the bunch this time around is going to be a three pot 1.0-litre turbo patrol power plant. Vauxhall identified petrols as the biggest seller in this sector, and have spent considerable time, effort and money on getting this engine up to scratch. It’s paid off because this unit is in fact the only 3 pot available with a balancer shaft that ensures it keeps out most vibration, hum and noise, as well as that familiar grating harshness. You can get it in either 90 or 115PS guise, but whichever you plump for you’ll get up to 170Nm of torque. Other engines in the range include a 1.4-litre turbo petrol, as well as 1.2 and a 1.4-litre naturally aspirated petrol units. There is also a 1.3 CDTi diesel on offer. If you’ve already checked out the Vauxhall ADAM, it’s worth mentioning that the front of the Corsa hatch looks decidedly familiar. It’s no coincidence, because Vauxhall are aiming for familiarity across a range of their models. 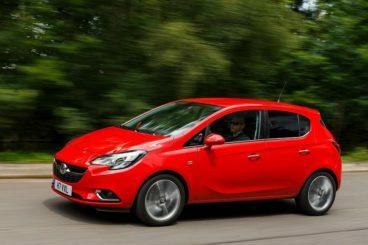 It’s no big deal, either, because it means the Corsa gets the ADAM’s friendly, personable and rounded good looks that are nothing like the Corsa’s of old. The proportioning, though, isn’t a massive departure from the mark III variant. The length is pretty much the same, though there is a noticeable difference between the 3-door and the 5-door variants. The interior, meanwhile, has a real upmarket feel to it that is really welcome. The centre console at last comes with the brand’s popular high-tech IntelliLink 7” touchscreen, while the materials are by and large forged from good quality with soft touch plastics abounding. The cabin is also well insulated from exterior noise, making this one of the best in its class. There are two bodies available, a 3-door and a 5-door. The 3 door, naturally, has less space and is less accommodating than the 5-door, but it isn’t necessarily something you’re going to notice until you try cram a few passengers inside. However, the 3 door does come with a sloping roofline that infringes on headroom in the back. 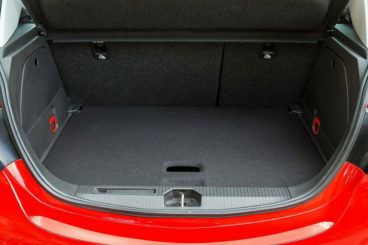 The boot’s capacity is just shy of that found in the Ford Fiesta, so it’s hardly going to be a deal breaker. Some Corsa’s in the mid-range don’t come with split-folding rear seats, which means the 285-litres can’t be extended. Prices for the new Corsa hatch start out from £9,500 and rise to almost £18,000. Standard equipment across the range is good, with the entry-level model offering Bluetooth phone connectivity, daytime running lights, cruise control and six airbags. Go for the Sting model and you’ll also get 16” alloys, while the plush Sting R line throws in black wheels, sports pedals, a chrome exhaust and a sportier leather steering wheel. It’s nice. The Corsa Design, meanwhile, adds LED lights while the SRi treats you to sports front seats and a trip computer. In terms of running costs, the 1.0-litre three pot unit dazzles with its numbers; it returns 54.7mpg, while the 1.3-litre CDTi – available in both 75 and 95PS guises – are capable of returning 87.8mpg while emitting just 85g/km of CO2. The modern supermini is faced with a near impossible task: It has to do what Lincoln said was futile, which is pleasing all the people all the time. And now that the usual heavyweights in this sector are creaking from the pressure exacted upon them by the rising Korean stars, this fourth generation hatch probably couldn’t have arrived at a worse time. However, Vauxhall are always up for a challenge and they know how popular the Corsa is and always has been. 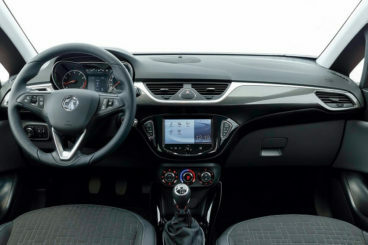 The new Vauxhall Corsa hatchback might not be overall class-leading, but its interior is superb, its practicality as good as ever, while out on the road it can’t really be beaten. Well worth a look.